These Spring writing prompts will naturally differentiate your writing center! Each prompt has a story specific vocabulary word bank to assist young writers in brainstorming ideas and spelling word while writing. In addition, students can edit their work with the self editing checklists. 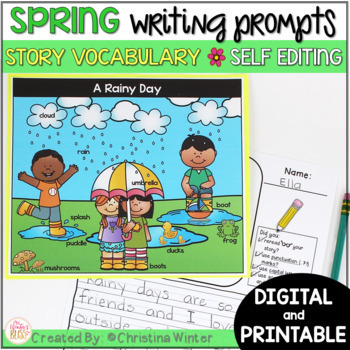 These spring writing prompts are perfect for small group writing, literacy center activities, homework, morning work writing, or as a meaningful writing activity when you have a substitute teacher. 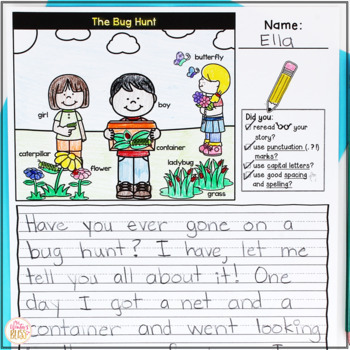 Included in this resource are 10 engaging Spring prompts. 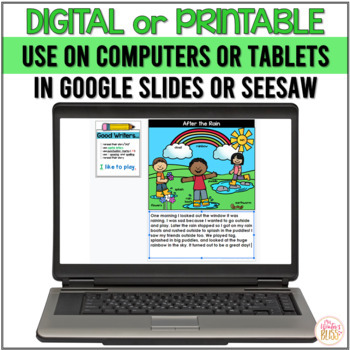 There are color and black and white versions to best meet the needs of your class. 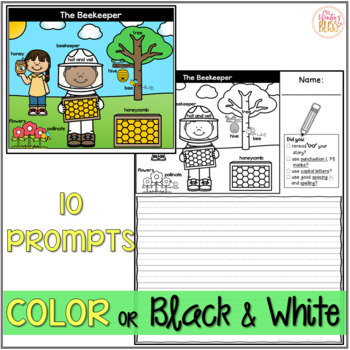 In addition, each black and white prompt comes in both primary and regular lined pages. I have also included a self editing checklist chart, sight word list, and lined paper options.